Mona Taylor has been a resident of Lake Wales, FL for many years as well as a self-employed contractor and real estate agent. Three years ago she became seriously ill and was diagnosed with end-stage liver disease (cirrhosis) and was told that her only chance of survival was to have a liver transplant. 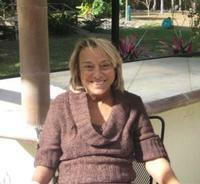 Mona is now completing the necessary steps to be placed on the active transplant list at Florida Hospital Medical Center. Due to the poor economy, a divorce and failing health, Mona has no private insurance coverage. However, she does have Medicare, but even that leaves her responsible for 20% of all treatment costs and co-pays. These uninsured expenses, especially the costly immunosuppressant medications that she will need to take for the rest of her life, present an enormous financial burden to Mona and she needs our help. To help offset her uninsured expenses, a fundraising campaign in Mona’s honor has been established with HelpHOPELive (formerly NTAF), a nonprofit organization that has been assisting the transplant community for nearly 30 years. All contributions are tax-deductible, are held by HelpHOPELive in the Southeast Liver Transplant Fund, and are administered by HelpHOPELive for transplant-related expenses only. Please consider making a contribution.Thank you so much for your gifts and prayers — your support is crucial.